Dimensioni di questa anteprima: 394 × 600 pixel. Altre risoluzioni: 158 × 240 pixel | 315 × 480 pixel | 505 × 768 pixel | 673 × 1 024 pixel | 1 840 × 2 800 pixel. English: Ptolmey I Sator, Savior . Deutsch: Ptolmey I Sator, Savior. Ptolmey I Sator bust made in Memphis 323BC. Created Eygptians first religion of a occupying general for Alexander the Great Murder. Ptolmey I Sator considered himself a Savior and had the bust created and moved to Alexander a new city for Mesopotamians "Jews" they later called themselves. 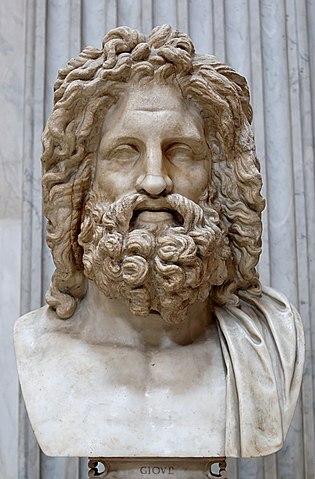 The bishops of Christ, the first Christians were Ptolemy I inner circle cult of Serapis, Osirus + Apis the bull. Ptolmey controlled Eygpt through a religion which he stated " Meriam Septeam, Chosen of Ra, Beloved by Amun. Questa pagina è stata modificata per l'ultima volta il 5 dic 2013 alle 13:18.